Check Rates & Availability at Courtyard Columbus! 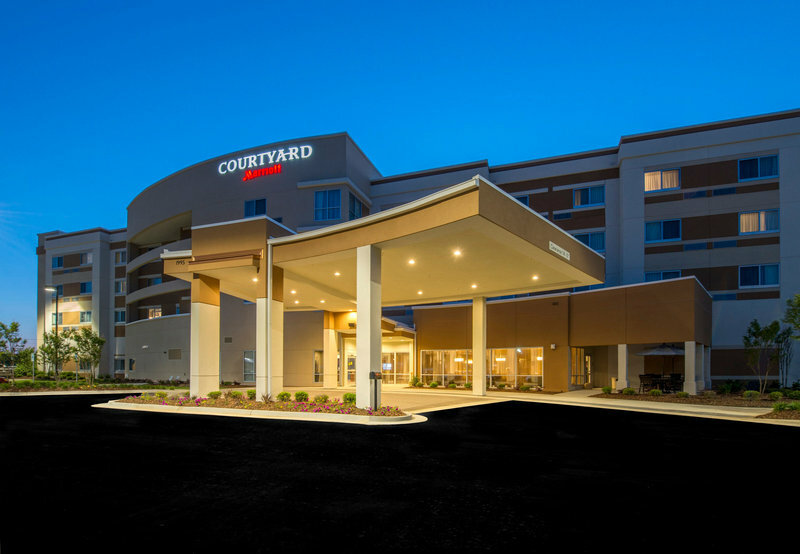 Beautifully designed and decorated hotel features a state-of-the-art lobby at Courtyard by Marriott Columbus, MS. In the center of it all is The Bistro, offering casual seating and high quality, healthy menu options for breakfast or dinner. Enjoy cocktails, wine and beer in the evening to unwind in inviting, social spaces to work or relax. Free Wi-Fi available throughout the hotel. Media Stations provide easy access to the latest news and weather. Check out the GoBoard for local information and airport conditions. This Columbus, MS hotel has over 3,300 square feet of event space adjacent to the lobby; ideal for corporate or social events. Our well-equipped fitness center, outdoor pool and whirlpool will help you stay refreshed and energized. Take advantage of this Courtyard by Marriott's close proximity to area businesses and thoroughfares to get to your destination in the Golden Triangle Region. Courtyard by Marriott Columbus, MS is a great place to escape to a comfortable room at the end of a day!